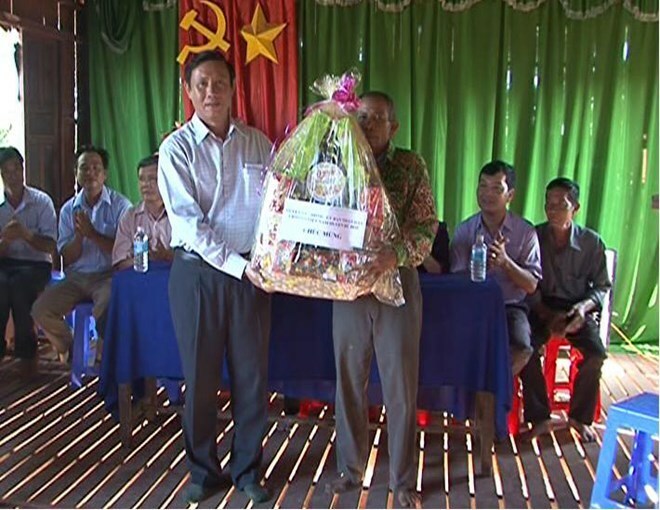 A delegation led by Deputy Head of the Steering Committee for the Southwest Region Lieutenant General Tran Phi Ho visited and presented gifts to Buddhist Khmer dignitaries and households in the southern province of Soc Trang on October 6, ahead of the Sene Dolta festival, a Khmer holiday to honour ancestors. They extended their greetings to the provincial Southwest Patriotic Clergy Solidarity Association, dignitaries, monks and nuns at several pagodas and outstanding Khmer families and retirees. Sene Dolta is one of the largest annual Khmer festivals, along with Chol Chnam Thmay (New Year) and Ooc Oom Bok, a festival to thank the Moon for good harvests. It is held from the 30 th day of the eighth lunar month to the second day of the ninth lunar month each year – which falls on October 12-14 this year, during which Khmer people pay tribute to their ancestors and take part in community celebrations with traditional songs and dances after a hard working year.